New Delhi: Dassault Aviation CEO Eric Trappier has said that the companys joint venture with Reliance in Nagpur represents only about 10 per cent of the offset obligations in the deal to purchase 36 fighter jets from France and it is in negotiations with about a hundred Indian companies to meet the requirements under the Defence Procurement Procedure of the Indian government. "In full compliance with this regulation, Dassault Aviation decided to set up the DRAL joint venture with Reliance and build a plant in Nagpur, which should enable us to meet about 10 per cent of these offset obligations. We are in negotiations with about a hundred Indian companies and partnerships have already been concluded with about thirty of them," Trappier said in an interview to AFP.He again made it clear that Dassault Aviation, which manufactures the Rafale jets, chose its offset partner. "The reference is the contract we signed and which is called 'offset contract'. With regard to the staff and trades unions organisations, Dassault Aviation uses the term 'obligation contractuelle d'offse' or 'obligation contractuelle de compensation'. "Signing an offset contract is a requirement of Indian law (Defence Procurement Procedure). The implementation of offsets is an obligation and, under the Indian regulation, the choice of the partners belongs to us," he said. 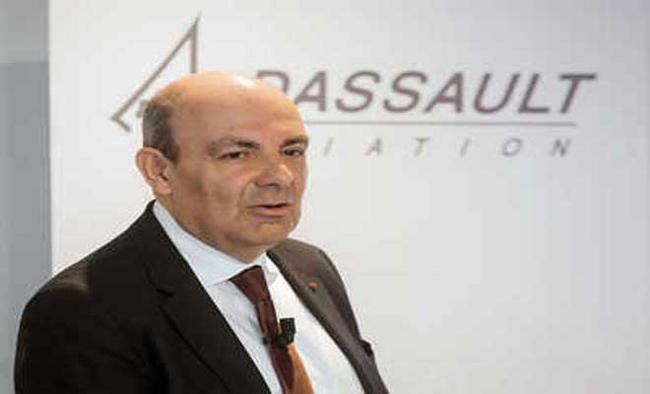 Trappier said Dassault Aviation decided to establish a long-term presence in India through Dassault Reliance Aerospace Limited (DRAL), a joint enterprise in which governance is provided by an Indian Chief Executive Officer and a French Chief Operating Officer.He said Dassault Aviation exercises technical and industrial control over the operations, applying its standards and its flexibility. "This JV will produce parts for the Falcon 2000 and Rafale. The choice of the Nagpur site, in central India, was dictated by the availability of land with direct access to an airport runway," he said.Asked about the controversies in India surrounding the deal, Trappier said controversies are always unfortunate "but we remain calm". "Things are progressing rapidly. We set up DRAL on February 10, 2017, and the plant project was officially launched on October 27, 2017," he said.Trappier said the first phase of the project involves building a temporary hangar to house the production tools and enable staff training to begin as rapidly as possible and it was completed in March 2018. Trappier said a second phase started in July 2018, with the construction of a final building, completion being scheduled for July 2019. "This building will allow a ramp-up in industrial activities. The cooperation between Dassault and India, which has existed for 65 years, has been given fresh impetus by Make in India and we are proud to be able to contribute to it," he added.